Enter a surreal and satirical world of twisted imagination and award winning creativity. 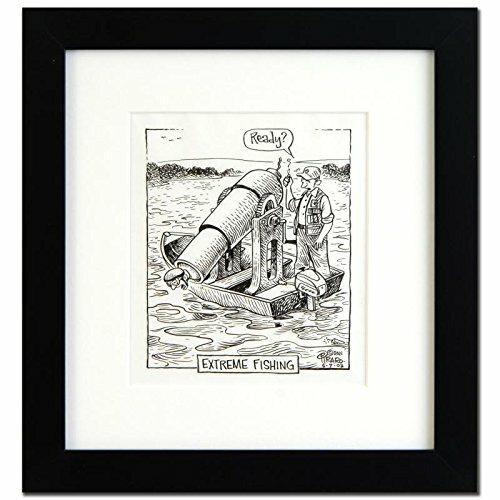 "Extreme Fishing" is an original pen & ink drawing on paper by Dan Piraro, creator of the critically acclaimed and award winning comic strip, Bizarro! This piece is hand signed and comes framed. Includes Certificate of Authenticity! Measures approx. 13" x 14" (with frame), 6" x 7" (image).